In the capital of Cambodia, Phnom Penh we can highly recommend the Oriental Spa, which offers great Spa packages. It is located at the #8, Street 258 in Phnom Penh, Cambodia, which was only a short scooter ride away from the Ben Thanh Market, where our Hotel was. 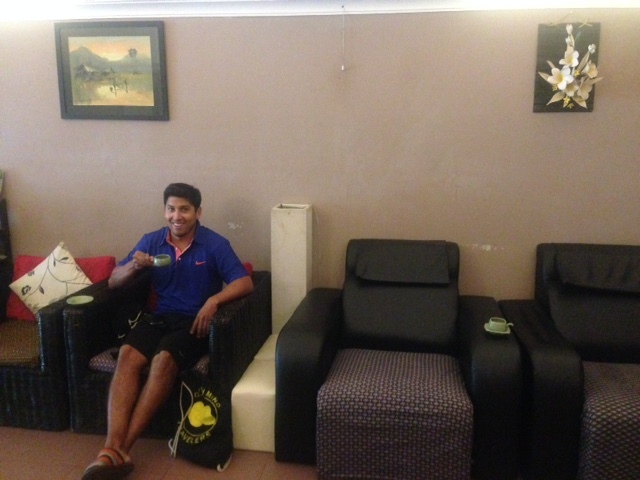 We arrived at the Oriental Spa and got a really delicious cambodian tea and started to relax. The friendly staff gave us a menu and explained what kind of spa packages they offer. Jeremy and I picked two different Spa packages. We both got a fantastic relax massage, which we enjoyed a lot. Jeremy got a body scrub and a head massage after. He loved it and felt very good after our 2,5 hour Spa treatment. After the great relax massage I got a facial treatment. The lovely lady massaged my face and I got the best face mask, I have ever had! It felt cold and very very relaxing! My skin was very soft and I felt good and happy after that treatment. The Oriental Spa uses only high quality products, which we really appreciate. They care about their customers and made us so happy! After my facial treatment I changed the room and enjoyed a foot scrub. I was sitting next to Jeremy in the relax chairs, we drank another delicious Cambodian tea and I swear Jeremy’s skin was soo soft after his body scrub. It felt like baby skin, which was amazing! 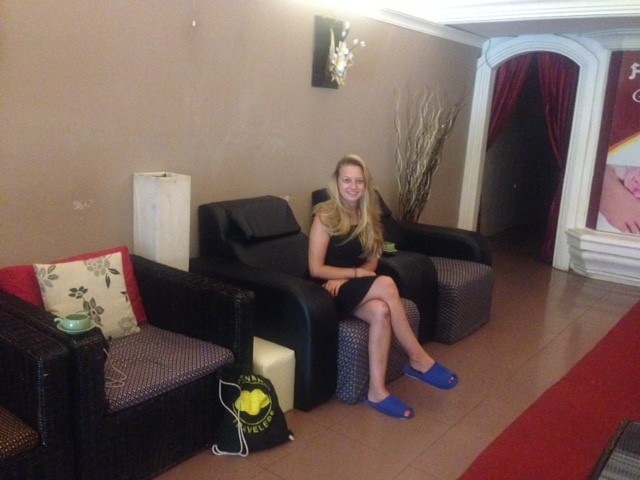 We had a great time and enjoyed 2 lovely spa packages at the Oriental Spa in Phnom Penh. The manager and the staff are so friendly and nice. Our plan was to find a place, where they would produce and print 100 Open Mind Travelers T-Shirts with our logo, and so we asked the manager if he has an advice for us. He made a few phone calls and helped us a lot, which we really appreciate. The staff at Oriental Spa are really nice and good people! So if you are planning a trip to cambodians capital Phnom Penh, do yourself the favor and get an amazing spa package at Oriental Spa!